I completed the scarf and I could not be happier. 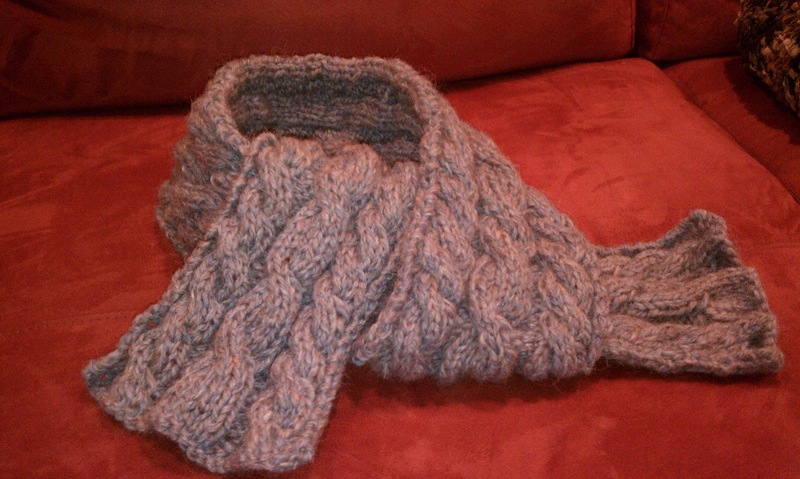 This was a pleasure to knit, and thanks to the generosity of the designer who offered his pattern at no cost, I am able to use this for teaching new knitters the basic cable. 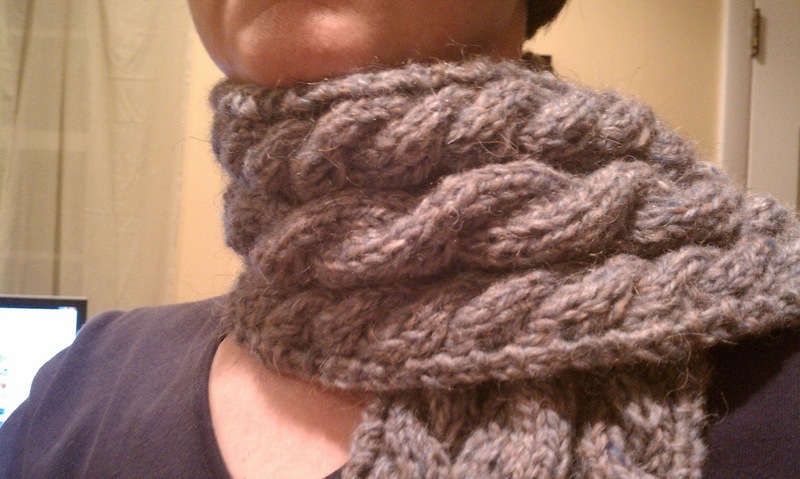 The Icelandic wool makes for a very rugged and chunky scarf. As you can see from the photos, it stands upright around the neck. Imagine knitting this in a buttery soft merino or alpaca. The fabric would drape nicely; giving the scarf a completely different look.